Custom Design Your Home For Free! What features and plan do you really want? What style do you prefer How many bedrooms? How many baths? A living room, family room or both? A formal dining room? Decks, porches, basements? Special purpose rooms? Special needs of each family member? We've already thought of -and built- hundreds of combinations. Lots of great ideas as thought starters. We can show you how they work together. This is what a custom home is all about. We can make your wish list as real as possible and save you money. In addition to the plans on this site, we have an inventory of hundreds of custom home plans we've built. Compare the same size homes with other builders - count the windows, note the kitchen and bath features - a Southland Custom Home has more for less! Plus, we will customize any of our plans, build a plan you already have or design a unique home from "scratch" just for you - all at no charge. Please click here for Free Custom Home Plan Process. Be sure you are comparing apples to apples. We welcome comparison with any other builder for quality, price and service. Ask some of our customers what they think. We'll give you all the names you'd like. Visit one of our construction sites. See how safe and well-managed it is, and meet our construction staff. We are open 6 days a week (plus Sundays by special appointment) because prompt service is important to you. If you need help, you can find it fast. We want to be your partner in the most satisfying purchase of your life. Now, we invite you to take the first step in making that dream come true. Come in and talk to us! You can choose to arrange for your own financing. Or, like many we have helped in the past, we can do this for you. You can let us be your "one stop" financing service and help you complete just one application at our offices. Lenders we work with offer competitive fixed rate mortgages and guarantee no hidden costs. Plus, for many land owners - NO MONEY DOWN! 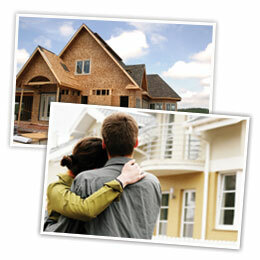 As an approved and certified FHA/VA builder, we can also help expedite your FHA/VA mortgage application. At Southland Custom Homes, we will build you a true custom home for less. You determine the starting and ending point of the home price discussion by telling us what you can afford. We will help you every step of the way to make the decisions that will keep you within your budget. Then, we guarantee the price for you in writing, How do we do it? It's simple: by applying volume building principles to your custom home, we can save you thousands of dollars. Materials are purchased in bulk. We get volume discounts form our subcontractors. Lenders we work with offer the best interest rate. Plus, with our computer-aided design and estimating, you are assured of a beautiful home for the lowest possible price. Do you already own a lot? Do you have a site picked out? If so, you've obviously given it a lot of thought. Are you working with an agent and still looking for land? We can help you narrow your search. We can give you invaluable tips about potential property, such as the estimated costs of land improvements. Plus, with Model Home Showrooms throughout Georgia, we serve over 80 counties. As you can see, our personal service is always nearby. Someone wise once said, "There's no substitute for experience." How true that is. Southland Custom Homes has been building custom dream homes since 1980. Only the best withstand the test of time - and your family deserves the best! We have model home showrooms throughout Georgia for your convenience. Every showroom features a home decoration area. This enables you to make the decorative and financing choices for your new home at one convenient location. Southland Custom Homes feature the most cost effective, energy saving technology. This not only saves you money now but helps assure that your home will have a high resale value for years to come. In addition to the floor plans contained in this catalog each sales showroom has many more plans to show you. Plus, since our homes are all in-house computer designed we can easily add your ideas to any plan - making your home truly your own. Our in-house computerized estimating, value engineering and volume purchasing power allows us to build better for the lowest possible price - and we pass these savings along to you. Extensive quality control during the construction process means the warranty work on our homes is well below the national average. However, should you need help, our warranty staff is available 6 days a week.